Product information "Clip System Heat Sinks"
Heat sinks that are designed for being mounted with a clamp clip are mainly used for cooling power semiconductors in TO-220 or TO-247 packages or similar package types, mounted on a printed circuit board (PCB). Compared to a conventional screw-based assembly system, the clip system can provide similar thermal resistance values between the component and the heat sink. At the same time, however, it offers clear technical advantages, especially for the assembly process. 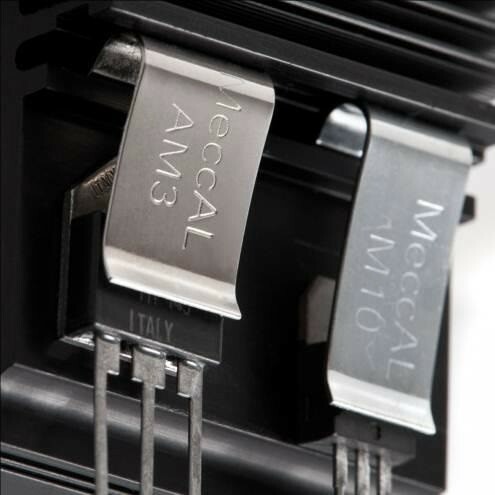 Clip systems not only ensure a central, even contact pressure on the semiconductor component, but also simplify initial assembly as well as disassembly and re-assembly for maintenance purposes. Contact us now to find out more about our line of heat sinks allowing mounting electronic devices with a clamping clip. Related links to "Clip System Heat Sinks"
Customer evaluation for "Clip System Heat Sinks"